Making cashless & cardless payments is nowadays trending in India. Soon after the Government’s demonetization ‘Surgical Strike’, peoples from all over India, started adapting to modern ways of cashless payment options. There are many cashless payment options available in India after the demonetization. But in this post, I will share with you the best 5 cashless & cardless online payment options that you can use to transact cashless India. If you are new to cashless online transactions, don’t worry. I am here to help you out. Going cashless is very easy and simple. It saves your precious time & the best part of cashless payments are discounts and cashback. So, to contribute towards the cashless economy, many cashless transaction providers have started giving out 100% cashback on cashless transactions. 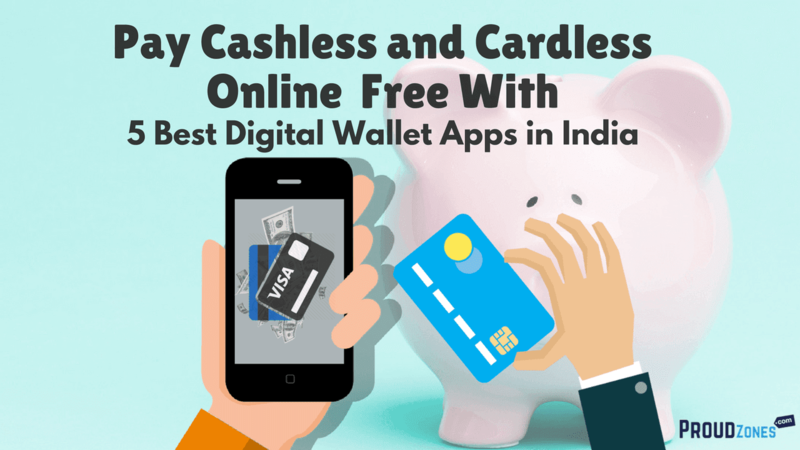 Here’s the list of 5 best digital wallet applications for making transactions cashless. Paytm app is one of the fastest online payments and mobile recharge app- pay for online recharge & mobile bills, DTH recharge & utility bills, travel, movies, shopping or to send or accept payments. Quick, easy, useful and secure, Paytm is trusted by 15+ crore customers. You just need to sign up with your mobile number, once you’re verified! You are good to go! • Send or receive payments superfast instantly. • Easily pay for online recharges and utility bill payments. • Adding Money to your Paytm Wallet is very simple. • Book online movie tickets, Events and more. • Make online shopping directly from your home. Bharat Interface for Money (BHIM) is an initiative to enable fast, secure, reliable cashless payments through your mobile phone. BHIM is interoperable with other Unified Payment Interface (UPI) applications, and bank accounts for quick money transfers. BHIM is developed by the National Payment Corporation of India (NPCI). BHIM is made in India and dedicated to the service of the nation. 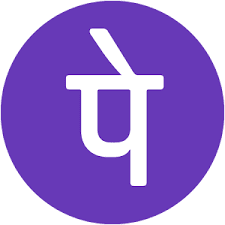 Prime Minister Narendra Modi launched BHIM, described by him as a brand-new app that will amount to “a world wonder.” BHIM – Bharat Interface for Money – is named for Dr. BR Ambedkar, said the PM, and is positioned to play a big role in the government’s push for digital transactions. • Send or receive money through a mobile number or payment address. • Check your bank balance and transactions easily. • Create custom payment address. • Scan a QR code for faster entry of payment addresses. • Block spam users easily. • Make transactions easily using Aadhaar Card. • Send and request money from your contacts anytime, anywhere. • Recharge prepaid Mobile for most major operators/Datacard/DTH connections across the country. • Pay postpaid Landline, Datacard and Mobile Bills for all major operators. • Pay for utilities such as electricity and gas bills. • Check your account balance, save beneficiaries and manage multiple bank accounts. • Get refunds and cashbacks to your bank account in an instant. • Split bills with your friends and settle them right away. • Shop on Flipkart, Myntra, Jabong, and other online shopping websites. FreeCharge has also introduced exciting new features like ‘Data Lifeline’ that acts as a savior when you run out of your data pack. This feature is exclusive for prepaid users and lets you avail free 3G data up to 100 MB on exchange of FreeCharge tokens. You can also send and request money through our ‘Chat n Pay’ feature and split bills quickly among friends and family with the new ‘Split Bills’ feature on the app. • Fastest and smartest way to do online mobile recharges, data card recharges & digital payments. • DTH recharges for operators like Tata Sky, Airtel Digital TV, Reliance Big TV, Dish TV, Sun Direct and Videocon D2H. • Online electricity bill payments for BESCOM, BSES Delhi, BEST Mumbai, Reliance Energy, MSEDC, and others. • Booking movie tickets at Bookmyshow, Ticketnew are now simpler and rewarding when you pay with FreeCharge. • End all your travel woes when you book tickets/hotels. MobiKwik is the best app for mobile payments, shopping, and recharge. Pay for your online recharge, DTH recharge, Bus Tickets, IRCTC trains, Prepaid, Postpaid, Electricity, Gas Bill, Insurance, Broadband, Landline, Datacard Bills easily. It is simple, fast & hassles free. Earn maximum cashback with Supercash & save on every transaction. Get huge cashbacks, mega savings every time. Mobikwik is the most secure, simple & fastest way to recharge your mobile phone. Get all Top Ups, SMS, Data (GPRS, 2G, 3G & 4G), Local, STD, ISD, Postpaid, DTH plans, Vouchers & Full Talk Time recharge offers. •Recharge prepaid mobile, DTH & pay postpaid, broadband, data card, electricity, gas, insurance & utility bills. •Book instant bus tickets across India & get great cashbacks. •Pay cashless at more than 5000+ restaurants, cafe, supermarkets, gift shops & physical stores. •2G, 3G, 4G recharge, Prepaid/Postpaid Bill Payment. •Make cashless electricity bill payment online. • Pay for gas bill & water bills easily. Above are the best 5 digital wallets apps to make your life more easier. With the help of these wallet apps, you can easily make any online transactions from anywhere in India. All you need is a phone number, address, an email and you’re good to go! Hope you like the wallet apps and let us know which app do you use personally by commenting below. If this list is useful to you, then Don’t forget to share on social sites with your friends and family members. Thank you.